Canonical’s network of Ubuntu partners spans the full range of technology activities. We offer partner programmes for software vendors, hardware OEMs, mobile carriers, channel partners, retailers and public cloud providers. Sorry, no partners matches found. Perhaps start your search again? As a pioneer in broadband development in Singapore, 1-Net currently manages telco-class carrier-neutral internet data centers, along with providing domestic and international connectivity, managed services and media delivery services. 1-Net offers superior stability, secure delivery and service experience through its services. 1-Net's Alchemy IaaS environments are built on the philosophy that high-performance, robust and secure infrastructure are not the product of expensive hardware or complex branded software but rather, an intelligent approach to the architectural design and software selection. Lateral thinking is at the core of its design. 10Duke provides a set of composable services, delivered as RESTful APIs, that allow developers to extend the core capabilities of their online application quickly and easily. 10Duke APIs provide Enterprise customers with the means to create new online applications from scratch or enhance existing applications with advanced functionality delivered from the cloud. Our APIs include File+, a file management and file conversion API, an Identity Provider for single sign on and federated identity management and an Entitlement API for defining and executing access policies across devices, people, companies, groups, and applications. 2lemetry is an Internet of Things platform and technology company, and the only provider to specialize in a software-based approach with an open enablement platform. They provide the only open enablement platform that transforms IoT data for enterprise applications. 2lemetry powers the connected enterprise, tying people, processes, data and devices together — transforming raw data into real-time actionable intelligence. 6WIND solves networking performance challenges, enabling the transition to NFV and SDN. 6WINDGate™ packet processing software is optimized for COTS servers running Linux with multicore processors. 6WIND Virtual Accelerator™ provides accelerated virtual networking infrastructure and 6WIND Turbo Router™ and Turbo IPsec™ are software appliances for bare metal or VMs. Accountz.com manufacture award winning personal and business accounting software. The range is multi platform and runs on Mac, Linux and Windows. Business Accountz comes in Basic, Professional and Enterprise versions. Powerful, yet simple, a VAT return can be produced in one-click and the chart of accounts presents business performance in real-time. Acelet Corporation provides cross-platform applications, such as Acelet Filer and Acelet Scheduler. Acelet Filer is a file manager with similar user interface as Windows XP, so you do not have to change your finger habits. Acelet Scheduler is a task scheduler with both daemon and GUI. Adfinis SyGroup is a well-established Swiss Linux systems integrator. As a trusted partner and service provider, they support customers from both the public and private sectors. Their portfolio includes project planning and implementation, systems operation and monitoring, and the protection of business data and processes. Aerolion specialise in UAV autonomy and navigation in both indoor and outdoor cluttered environment. Their main directions include autonomous navigation of unmanned rotorcraft systems, design of unconventional aircrafts, and to provide solutions with intelligent UAVs for a wide range of real-life applications. Akanda is the major contributor and supporter of the open source, layer-2 agnostic Astara network orchestration platform – an official OpenStack project. Akanda provides the Astara project with development resources, and also offers commercial subscriptions and enterprise support to its customers and partners deploying Astara. Alliance Technology Group delivers best-in-class solutions to a variety of clients, including many of the top Fortune 500 enterprises, bioinformatics research groups, government agencies, High Performance Computing Centers, and service providers. We transform technology infrastructure into flexible and secure clouds that enable self-service IT, rapidly and at scale. Allwinner Technology is a leading fabless design company dedicated to smart application processor SoCs and smart analog ICs. Focused on cutting edge UHD video processing, high performance multi-core CPU/GPU integration, and ultra-low power consumption, Allwinner Technology is a mainstream solution provider for the global tablet, internet TV, smart home device, automotive in-dash device, smart power management, and mobile connected device markets. Altoros helps organizations to digitize their revenue streams by delivering cloud-native and IoT apps on top of PaaS. Altoros integrates software assembly lines into large organizations by deploying solutions offered by the Cloud Foundry ecosystem (IBM Bluemix, GE's Predix, Pivotal CF, SAP Hana, HPE Helion, etc.). With Amazon Web Services (AWS) you can requisition computer power, storage, and other services–gaining access to a suite of elastic IT infrastructure services as your business demands them. You pay only for what you use, with no up-front expenses or long-term commitments, making AWS the most cost-effective way to deliver your application to your customers and clients. AMD is a semiconductor design innovator driving the next era of digital experiences with its groundbreaking Accelerated Processing Units (APUs). AMD’s server products focus on industry-leading cloud computing and virtualisation environments. AppFirst is a SaaS-based application monitoring tool that provides complete visibility of an application, helping companies proactively identify and address potential performance issues, plan for future growth, and gain understanding of their application's execution. AppFormix software provides real-time control and monitoring of enterprise cloud infrastructure. AppFormix allows system administrators analyze and control how infrastructure resources like storage and network I/O are consumed by applications running in a virtualized environment. Applied Micro Circuits Corporation is a global leader in computing and connectivity solutions for next-generation cloud infrastructure and data centers. Aptira is the leading provider of OpenStack in Australia, India and the APAC region, providing private and hybrid cloud solutions and technology consultancy. Aptira works with a wide range of organisations in finance, retail, utilities and government and is the founder and prime motivator of the OpenStack community in Australia and India. Arkeia Software Arkeia Network Backup, Enterprise Edition for Ubuntu. Arkeia Software provides a fully-licensed, free version of Arkeia Network Backup that is available in the Ubuntu 10.04 LTS software repository. Arkeia Software provides the market's broadest and deepest support for Linux and open source applications, with more than 100 Linux platforms supported. The Arm computing architecture has rocketed in popularity since the company started licensing its design in 1990. It has become a standard for modern digital devices from phones to tablets, shipped in billions of devices. Arm’s popularity is a result of high performance coupled with leading power efficiency and low costs. ASUS has been working with Canonical to bring to market a number of Eee PC netbooks. The Eee PC with Ubuntu is fast, virus-free and packed full of applications through the Ubuntu Software Centre. Given Ubuntu’s six-monthly release cycle, ASUS users can quickly take advantage of future enhancements and always stay up-to-date. Avago Technologies is a leading designer, developer and global supplier of a broad range of analog, digital, mixed signal and optoelectronics components and subsystems with a focus in III-V compound and CMOS based semiconductor design and processing. AWCloud provides enterprise-grade private and hybrid cloud solution based on OpenStack, also provides technical support, professional services and training for commercial-grade OpenStack deployments in China. Awnix specializes in designing and deploying Engineered Systems for OpenStack with SDN. These systems help government and enterprise organizations attain the fundamental goals of all IT organizations: security, reliability, compliance, and cost efficiency. Awnix is led by a team of technology experts with decades of experience serving the government and corporate markets. Azul Systems builds fully supported, certified standards-compliant Java runtime solutions that enable real time business. Zulu and Zulu Embedded are Azul’s certified, open source builds of OpenJDK with a variety of flexible support options, available in configurations for the enterprise as well as custom and embedded form factors. B1 Systems GmbH is a German provider of consulting, training, development & support services based on Linux and Open Source founded in 2004. Our team of more than 65 Linux experts offers tailor-made solutions based on virtualization, high availability and cloud computing technologies as well as monitoring, system and configuration management. B1 helps turn Open Source innovation into Enterprise reliability and performance — nationally and internationally. Bacula Systems provides the highest quality support, training and professional services for the Bacula open-source backup and recovery software platform. Bacula is the leading enterprise backup solution that is 100% open-source, free of license costs and adheres strictly to open standards, eliminating the vendor lock-in of proprietary software for thousands of enterprises. BeagleBoard.org community innovates on open hardware computers for makers of things. The boards are low-cost, fan-less single-board computers based on low-power Texas Instruments processors featuring the ARM Cortex-A series core with all of the expandability of today's desktop machines, but without the bulk, expense, or noise. BeyondTrust is the only security solution vendor providing Context-Aware Security Intelligence, giving our customers the visibility and controls necessary to reduce their IT security risks, while at the same time simplifying their compliance reporting. Bigstep, the big data cloud provider, makes it easy for any organization to create, launch and scale powerful, secure and cost-effective big data solutions in minutes. Bigstep serves a global customer base from multiple data centers in Europe and the U.S. and has dual headquarters in London and Chicago. BitDefender is a leading global provider of security solutions that satisfy the protection requirements of today's computing environment. The company offers one of the industry's fastest and most effective lines of security software, setting new standards for threat prevention, timely detection and mitigation. Boxed Ice Server Density is a server monitoring tool provided as a service that makes it easy to start monitoring your server performance and applications such as Apache and MySQL. Get e-mail, SMS and iPhone alerts when things go wrong, troubleshoot historical problems and plan future capacity. bq is a Spanish mobile device manufacturer who designs, sells and distributes smartphones along with other products like e-readers, tablets and 3D printers. bq will be one of the first partners to ship Ubuntu on their latest hardware in 2014. Brightbox Cloud Servers are UK-based, on-demand, performance-optimised virtual machines, backed by enterprise-grade hardware and lightning-fast persistent storage. Bynet provides complete turnkey solutions for advanced video, voice and data communications, visibility and situation control for critical community services. As a member of the RAD Bynet Group, our solutions leverage extensive experience in developing, customising and delivering advanced ICT products and solutions for governmental organisations and enterprises worldwide. From solution customisation, provision and installation of infrastructure, equipment and systems, to service across the entire solution life-cycle, Bynet delivers end-to-end ICT solutions for critical communication and control needs. Cavium (NASDAQ: CAVM), a leading provider of semiconductor products that enable intelligent processing for enterprise, data center, wired and wireless networking, will support Ubuntu Core for its switch and router solutions, accelerating the development of next-generation smart networking infrastructure by a wide range of OEM manufacturers. Centrify DirectControl delivers access control and centralized identity management by seamlessly integrating Linux, UNIX, Mac and web platforms with Microsoft Active Directory. DirectControl turns a non-Microsoft system into an Active Directory client, letting you secure that system using the same authentication and Group Policy services deployed for your Windows systems. CertiVox delivers a certificate-less next generation key management service called the Distributed Trust Authority, which fixes the fundamental design flaws that affect public key infrastructures. It's secure and scalable for the Internet of Things. Led by a team of security industry veterans with experience at organisations such as nCipher, PwC, RSA and Informatica, it’s goal is to be so pervasive in the Internet of Everything that the CertiVox Distributed Key Management Platform becomes critical infrastructure for the Internet. In 2014, Certivox received a series B funding round of NTT DOCOMO Ventures (the Japanese firm’s first foray into the UK) and Octopus Investments. It was also selected as part of a special UK Cyber Security delegation that accompanied the British Prime Minister on his January 2015 trip to Washington. We are delighted to work with Ubuntu enabling the Snappy Ubunto Core platform with a highly secure and undetectable capability to protect IOT communication. Our Digital Chaos™ technology was developed for the US Military and over the last two years our team has developed a commercial framework to introduce the technology in any wireless personal communication network. Cirrus Computing provides a complete “organization in the cloud” packaged from the world's leading open source, including networks, desktops, and applications. Access is on virtual Ubuntu desktops from any computer anywhere over the Internet, providing the best user interface available in the cloud. Scaling the organization up or down can be done with a mouse-click. Cisco’s Unified Data Center architecture can simplify and accelerate the deployment of scalable cloud solutions. Canonical and Cisco work closely together to ensure the compatibility of Cisco’s products and technologies with Ubuntu Server and Ubuntu OpenStack distributions. Built on OpenStack, City Cloud is a flexible and scalable IaaS that provide intuitive cloud management, secure servers, storage and global private networks. Leveraging all the benefits of open source, including open APIs and no vendor lock-in, City Cloud provides you with a cost effective and easy to use, high performance infrastructure across the globe. cloud.ca is a regional cloud that delivers scalable, secure and resilient cloud computing services at competitive utility costs. Canadian owned and operated, our infrastructure is ideal for DevOps teams, app deployments and workspaces. cloud.ca's self-service platform works as a standalone IaaS and also fits perfectly into hybrid and multi-cloud solutions. Cloudera provides software, support, services and training for the open-source Apache Hadoop software package. Originally developed by companies like Yahoo! and Facebook, Hadoop is now used widely in finance, telecom, media and government verticals. Cloudera builds upon Hadoop to create a unique data management platform to collect, store and process complex data. 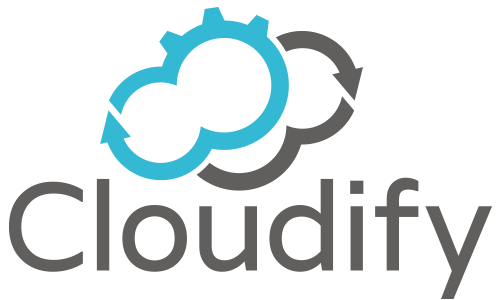 Cloudify is an open source, TOSCA-based cloud orchestration framework that provides full lifecycle automation (provisioning, deployment, monitoring and remediation) of enterprise and NFV applications. Cloudify provides a single pane of glass across cloud platforms, containers and even non-virtualized and bare metal, all while supporting your existing tools and installbase. Our SmartPlug, node.js based, IoT agents on Ubuntu core deliver an easy to use, secure and very powerful software infrastructure to build the new generation of connected products. Developers can quickly develop IoT device applications for residential, commercial, or industrial use that are deployed and updated with one click from the cloud. CloudSigma is your virtual data center provider that offers unparalleled configurability delivering customer defined computing from the cloud. CloudSigma combines flexibility with a high performance infrastructure backbone that delivers industry leading price/performance. Fully automate any aspect of our deployment with 100% feature-set API coverage plus 24/7 support included as standard. Cohesive Flexible Technologies provides onboarding solutions for virtual and cloud computing infrastructures. Their Elastic Server® platform is a web-based factory for creating, deploying and managing custom multi-sourced servers comprised of horizontal, open source and third-party software components. Additionally the VPN-Cubed® packaged service gives customers control of networking in the clouds, across clouds and between their private data cente. Command Prompt Inc. Based in Oregon, The PostgreSQL Company, Command Prompt, Inc. is the oldest and largest dedicated PostgreSQL support provider in North America. Since 1997, they have been developing, supporting, deploying and advocating the use of the “World's Most Advanced Open Source Database”. The preferred deployment platform for PostgreSQL is Ubuntu. Core Network Dynamics develops OpenEPC, a complete mobile network in software. OpenEPC is the de-facto standard for Evolved Packet Core (EPC) testbeds, now ready for live deployments with carriers moving to SDN/NFV, private LTE for public safety and remote networks. OpenEPC is compliant with 3GPP Release 12 including support for LTE, 3G, 2G and WiFi. Couchbase is the name of the NoSQL database company and product family created through the merger of CouchOne and Membase. Couchbase products, which are built on Apache CouchDB, Membase, and memcached open source software, represent the most comprehensive family of data management solutions for building scalable web and mobile applications. CPLANE.ai delivers unmatched performance and scale for distributed OpenStack clouds. CPLANE.ai’s Multi-Site Manager delivers end-to-end orchestration across multiple datacentres and network edge locations. Utilizing the performance and reliability of Ubuntu Server and OpenStack distributions, MSM easily scales to thousands of compute nodes and millions of VMs. credativ is Your One-Stop Shop for Open Source Support™, providing a full range services for the private and public sectors since 1999. Operating Open Source Support Centres in Europe, North America and India, the team offers a local, bespoke service to businesses, including up to 24/7 availability, server management, bespoke solutions, development, training and more. CyaSSL is a lightweight yet fully functional embedded SSL Library for programmers building security into applications and devices. CyaSSL employs the dual licensing model, like MySQL, so it is available under the open source GPLv2 and standard commercial licensing. DataArt (www.dataart.com) is a technology consulting firm that creates end-to-end solutions, from concept and strategy, to design, implementation and support, helping global clients in the financial services, healthcare, hospitality, media and IoT sectors achieve important business outcomes. Rooted in deep domain knowledge and technology expertise, DataArt designs new products, modernizes enterprise systems and provides managed services delivered by outstanding development teams in the U.S., UK, Central and Eastern Europe, and Latin America. As a recognized leader in business and technology services, DataArt has earned the trust of some of the world's leading brands and most discerning clients, including McGraw-Hill Financial, Coller Capital, BankingUp, Ocado, artnet, Betfair, SkyScanner, ThinkEco, Booker and Charles River Laboratories. DataStax delivers Apache Cassandra™, the leading distributed database technology, to the enterprise. With more than 400 customers in over 50 countries, DataStax is the database technology and transactional backbone of choice for the world’s most innovative companies such as Netflix, Adobe, Intuit, and eBay. deepsense.ai helps companies gain competitive advantage by providing them with AI-based end-to-end solutions, with the main focus on computer vision, predictive analytics and NLP. Deepsense.ai also delivers machine learning and deep learning training programs to support companies in building AI capabilities in-house. Canonical and Dell Technologies have teamed up to offer an extensive range of desktop, notebook, server and IoT configurations, certified and suitable for home use, business use or software development. Dell and Canonical engineers collaborate constantly to certify Dell hardware on Ubuntu to a level that customers can rely on. DeviceHive makes any connected device part of the Internet of Things. It provides the communication layer, control software and multi-platform libraries to bootstrap development of smart energy, home automation, remote sensing, telemetry, remote control and monitoring software, and much more. Leave communications to DeviceHive and focus on product and innovation. Digital Realty are a group of the world's leading data center experts, bound together by our belief that the data center is a source of strategic advantage for our clients. We put our expertise to work for our clients, from Fortune 500 global enterprises to small and medium-size business, partnering with them every step of the way to achieve their business goals. Dimension Data believes technology helps you achieve great things in the digital age. Our services deliver the outcomes you need to accelerate your business, wherever you are in the world. The OneCloud Partner Programme brings together the shared experience and technical capability that enable our partners to take cloud services to market effectively and efficiently. Since 1997 DreamHost has helped entrepreneurs and developers the world over bring their dreams to life on the Internet. From domain registrations to web hosting and even powerful cloud storage and computing services, more than 400,000 customers trust DreamHost to be their online home. E-nteractiva provides world-class, cloud-based platforms and services to businesses; delivering the most cost-effective technologies in the markets we operate becoming a trusted advisor to our customers and channel partners in Latin America. E-nteractiva deliver Canonical Services and Support to Peru, Argentina, Chile, Ecuador and Bolivia. e-shelter is one of the leading data center operators in Europe providing highly secure environments for housing and connectivity of IT and network systems. Among e-shelter’s clients are financial services companies, telecoms operators, IT service and outsourcing providers as well as cloud service providers. The industrial IoT needs foundational building blocks that are secure, reliable and easy to use. Collaboration between the Eclipse Foundation and Canonical will dramatically accelerate time to market for developers, building on one of the truly open platforms. Elastisys automates the handling of your infrastructure and scales your services proactively to provide just the right amount of capacity based on historical data, current performance and intelligent estimates about the future. element14 proudly presents the element14 BeagleBone Black, made (under license) to the exact Beagleboard.org hardware and software specifications. element 14 partners with key suppliers in the design, manufacturing, marketing and distribution of development kits and electronic components. Check out our Design Center to explore the vast selection of Development Kits and Single Board computers. EMC, a global leader, enabling companies to transform their operations and deliver information technology as a service. Fundamental to this transformation is cloud computing. EMC accelerates the journey to cloud computing, helping IT departments to store, manage, protect and analyze their most valuable asset — information — in a more agile, trusted and cost-efficient way. Emlid is mainly focused on development and adoption of Linux-controlled drone autopilot solutions. Its flagship product Navio+ can turn Raspberry Pi or Odroid-C1 into a powerful drone controller with advanced multimedia and connectivity abilities. Emlid team believes in a bright future for Linux in embedded applications. Emulex is a leader in network connectivity, monitoring and management products, providing solutions for global networks that support enterprise, cloud, government and telecommunications. Emulex products enable industry-leading end-to-end application visibility, optimization and acceleration in the data center. Emutex evolves embedded systems into smart and secure communication devices used in IoT Solutions. Our software engineers work with Original Equipment Manufacturers to integrate our ubiworx™ software framework into embedded systems to produce IoT Gateways that intelligently mine data from machines and sensors and securely route it to data analytics and event monitoring services. We also enable Linux distributions on new microprocessors, chipsets and boards, specialising in Linux kernel, driver and board support package development. "Snappy Ubuntu Core is the optimal Linux distribution for embedded systems in the IoT world. Combined with our ubiworx software framework we produce secure, manageable and upgradable IoT Gateways." Engineering Group (www.eng.it) is the leading Italian software and services company. It develops and supports SpagoBI - the open source suite for Business Intelligence and Big Data Analytics (www.spagobi.org). The suite provides a full set of analytical capabilities, ranging from traditional reporting and charting features to innovative solutions for emerging domains, such as location intelligence, what-if analytics, data mining and social listening, which enable effective decision making and supports informed business strategies. Erle Robotics is a Spanish startup building the next generation of Linux-based personal robots. Their Linux autopilot, Erle-Brain is a palm-size Linux computer for making drones. Through Erle-Brain, Erle Robotics is introducing Erle-Copter, the first multicopter powered by Ubuntu Core. EURECOM is a French graduate school and a research center in communication systems based in the international science park of Sophia Antipolis, which brings together renowned universities such as Télécom ParisTech, Aalto University (Helsinki), Politecnico di Torino, Technische Universität München (TUM), Norwegian University of Science and Technology, Chalmers University of Technology. EURECOM is a school of Institut Mines Telecom. EURECOM benefits from a strong interaction with the industry through its specific administrative structure: Economic Interest Group (kind of consortium), which brings together international companies such as: Orange, ST Microelectronics, BMW Group Research & Technology, Symantec, Monaco Telecom, SAP, IABG and with the Principality of Monaco. EURECOM deploys its expertise around three major fields: Networking and security, Multimedia Communications and Mobile Communications. EURECOM is particularly active in research in its areas of excellence while also training a large number of doctoral candidates. Its contractual research is recognized across Europe and contributes largely to its budget. Thanks to its strong ties set up with the industry, EURECOM was awarded the “Institut Carnot” label jointly with the Institut Telecom right from 2006. The Carnot Label was designed to develop and professionalize cooperative research. It encourages the realization of research projects in public research centers that work together with socioeconomic actors, especially companies. EVRYTHNG is the award-winning IoT cloud platform that connects any consumer product to the Web and manages real-time data to drive applications. Smart products don’t just deliver connected experiences and support services, they share data with enterprise systems and other device clouds for smarter ROI. Using Ubuntu Core and the snappy platform we will be able to deliver real-time edge computing capabilities powered by the EVRYTHNG IoT Cloud. Expeto offers the entire LTE core network stack in a Platform as a Service model. Using Network Function Virtualization as a base, the on-demand, cloud environment can be scaled in milliseconds where, and when needed. The PaaS solution ensures more revenue is retained by the communications service provider and not distributed to proprietary hardware and software vendors. F13 Tecnologia is focused on providing services with open source solutions for the business market - from small businesses to large corporations. It provides technical support, targeted training, consulting and specialized services for managing IT infrastructures. Since 2004, F13 Tecnologia is committed to its clients in seriousness, professionalism and quality service. FACTOR GROUP (since 1986) working on the market of Software development, Support and Education services, System integration in IT and Telecom sectors in the region of Russia and CIS. We are delivering modern solutions for Service Providers Environment, Business-ready Cloud infrastructure, based on UBUNTU OpenStack and UBUNTU Server products. Fairbanks helps organizations to increase their competitive strength. By implementing and supporting stable working and innovative open source cloud solutions. Fairbanks focuses on cloud expertise in the Benelux and Western Europe. In Fairwaves we're developing a system for rural mobile networks, which is mostly based on open-source software. Our GSM base-station which is installed in extremely remote locations and the last thing customers want is to have to reset a remote station. We can use Linux Containers to build an application isolation system and an installer with transactional updates, then tweak Ubuntu to use a read-only root file system and then make another dozen tweaks. But now we can just use snappy Ubuntu Core. As innovators and enthusiastic supporters of IoT, we’re are pleased to be partnering with Canonical on the early phases of delivering IoT into the mass market. Our shared vision will provide significant value to businesses looking to leverage the value of these new technologies and business models. Fleten.net is based in Norway and Denmark. We focus on OpenStack consultancy and Ubuntu DaaS and thin-client solutions. We have a strong relationship with universities, academies and vocational schools where students take active part in development, PoC and benchmarking of our solutions for our customers. Flextronics is a global leader in design, manufacturing, distribution and aftermarket services, unique in its ability to provide end-to-end solutions through its innovative and proprietary systems. Our Open Identity Stack delivers the next generation of identity and access management: we’re the first identity relationship management platform for your enterprise, cloud, social and mobile systems. FortyCloud, is a pioneer in cloud network Security-as-a-Service. FortyCloud’s first-of-a-kind offering bundles all core security components (encryption, firewall, VPN, access control, identity management, etc.) into a single, integrated product that is delivered As-a-Service. FortyCloud offers an innovative approach that blends software defined networking (SDN) and software defined security (SDS) technologies. France Labs is fully dedicated to open source enterprise search. We are the software maker of Datafari, the only open source enterprise search solution available under the Apache v2 license. In addition, we help customers through our technical expertise on Apache Solr and Elasticsearch. Freedomotic is an open source, flexible, secure, multilingual Internet of Things (IoT) development framework, useful to connect People and Things to value-added business Services. It is targeted at private individuals (home automation) as well as business users (smart retail environments, smart cities, ambient aware marketing, monitoring and analytics). Freedomotic is the solution to easily code the physical world creating branded building automation systems, smart retail environments, in the cloud managed services and innovative IoT applications, drastically reducing development effort and time to market. We are a specialty software consulting firm that provides support for consumer electronics and toy companies for their embedded device products. We do specialty software services like computer vision, machine learning, and optimization. Fujitsu Cloud services portfolio covers IaaS, PaaS and SaaS, as well as cloud management platforms and a wide range of professional management and enablement services. Its cloud service - FUJITSU Cloud Service K5 - provides a pool of scalable, robust and secure virtual ICT resources, available on demand over the Internet on a cost-effective pay-per-use basis. Codership develops replication and clustering solutions adopting novel ideas from latest DBMS research to build fundamentally new high availability solution. Codership's Galera Cluster for MySQL, a synchronous multi-master cluster software, provides high system uptime with no data loss and scalability. Galera powers Percona XtraDB Cluster and MariaDB Enterprise Cluster. 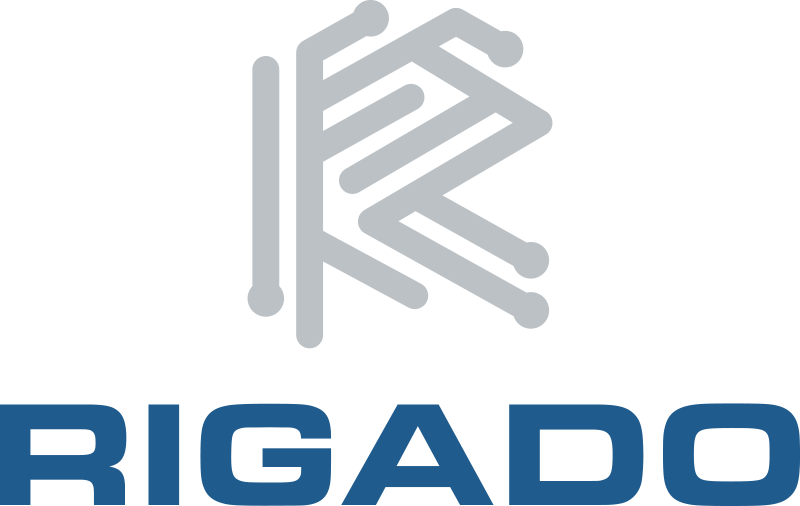 Gecad Technologies Established in 2001, Gecad Technologies focuses on the development and distribution of innovative messaging solutions, under the brand name AXIGEN. AXIGEN Mail Server is THE mail server for Linux professionals, offering unmatched manageability and control over all details email traffic and being backed by outstanding 24/7 technical support services. GLADINET Cloud Enterprise provides a brandable, self-hosted dropbox alternative for service providers and enterprises, with file server integration, broad mobile support and more. Google Cloud Platform enables developers to build, test and deploy applications on Google’s highly­ scalable and reliable infrastructure. Cloud Platform offers computing, storage and application services for your web, mobile and backend solutions. Growin, Inc. believes in growing with customers as a trustworthy partner navigating the rapid changes in IT. Through FOSS-based system integration know-how and continuous development of in-house technical capabilities, we provide FOSS solutions, technical support, maintenance, consulting, and proprietary-to-FOSS migration services in South Korea. 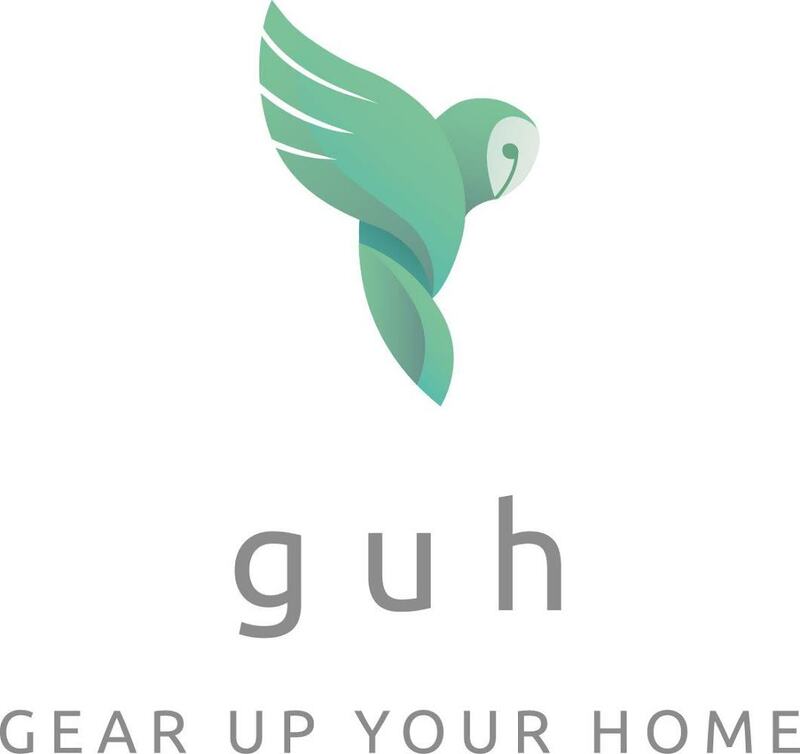 guh focuses on human-machine interaction for IoT. guhIO is a lean home automation server, which allows to control a lot of different devices from many different manufacturers. It provides a web-interface, a JSON-RPC API and a RESTful API. It runs reliably and fast on low power hardware or as a cloud instance. The M2M communication stack is plug-in based and can be extended easily with new plug-in implementations. The powerful rule engine allows to create individual scenes and behaviours for your home. HansaWorld provides integrated business solutions including financials, ERP, CRM, e-Business, retail and production. 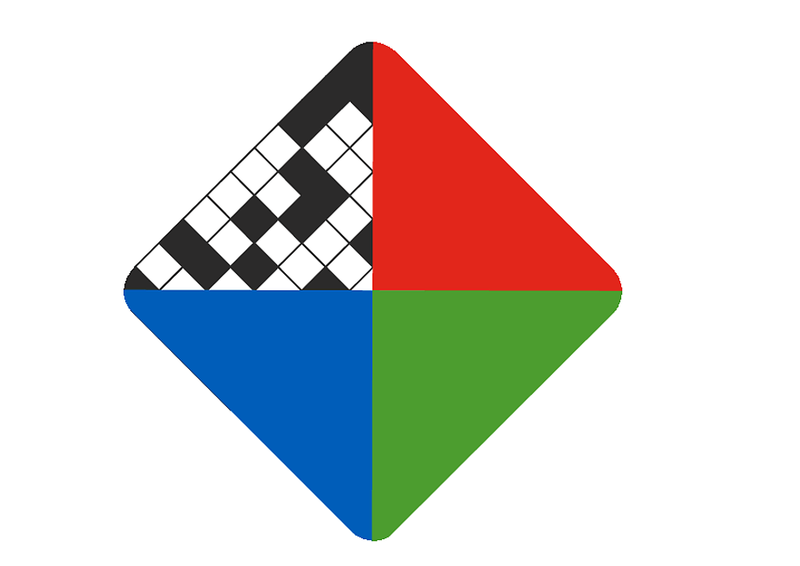 HansaWorld is available in 28 languages and is represented in many countries in Europe, Latin America, Africa, Australia, Asia and the Middle East. HansaWorld carries out continuous industry leading research and development, pioneering the use of modern technology for ERP and CRM. Hobson is an open-source IoT platform that creates a unified API and user interface for a wide variety of smart devices. It features a web-based console, powerful scheduling/eventing capabilities and the ability to record device history. It's primary goal is to be highly usable for both end-users and developers without any dependence on cloud infrastructure. For developers, it features an extensive plugin SDK for integrating new hardware and can be fully controlled via its local REST API. Hosting Yorkshire provide SEO, domain registration, hosting and website design from the York area and serving Yorkshire to provide regional online marketing coupled with IT support. hSenid Mobile is a multi-national Telco Software Solutions provider, with a focus for Telco Platforms converging Telco APIs, Analytics and Signaling. hSenid Mobile’s Telco Application Platform (TAP) enables a new wave of developer communities by offering an end-to-end Telco specialized API Management solution that empowers developers and non-developers to create Telco applications effortlessly through a self-care portal, thus eliminating the need for Telcos to involve in app development lifecycle and release. A proven solution with multiple deployments across the globe, TAP will generate new revenue sources to Telcos that they did not have access to. hub:raum Krakow is an Innovation Hub for the CEE region created by Deutsche Telekom Group in April 2013. It focuses on supporting innovative businesses by providing market access to customers, financing, mentoring and co-working space. Established in 2001, Hyve are a UK based, award winning, fully managed hosting company with a passion for technology. Utilising a small company approach, Hyve focus on extraordinary support and management services; Hyve become an extension of your business. Hyve are ISO27001 certified, PCI DSS compliant and G-Cloud accredited, and their cloud hosting comes along with a 100% site uptime guarantee. Hyve's technical teams provide expert support and guidance to take care of the IT infrastructure whilst you focus on your business. Canonical and the Ubuntu community work together with IBM to ensure that Ubuntu Server and Ubuntu OpenStack work seamlessly with IBM Power Systems and IBM software applications. We continue to collaborate in areas like KVM, OpenStack, and devops, to provide reference architectures, supported solutions and cloud offerings, now and in the future. IDM Computer Solutions UltraEdit is the ideal text, hex and advanced programmer's editor. With millions of users worldwide, UltraEdit is the #1 selling, most powerful, value priced text editor available! Download UEx today in the Ubuntu Partner Repository and discover why millions prefer UltraEdit as their text editing solution! Exclusive Ubuntu community discounts sponsored by Canonical and IDM. Incubio is a startup incubator specialized in Big Data. We provide entrepreneurs with training, mentors, and services such as: design, marketing, legal, and even financing. We have several programs including Gamebcn, the videogame incubator, Yield, our Big Data platform, and Incubio Research, our division dedicated to experimenting with Big Data. Informology is a Malaysian company that​ offers​ innovative business solutions & technologies to organisations. Informology focuses on Open Source​ and Internet Technologies. Informology involved & actively collaborating with Ubuntu community. With the recent Cloud Technology adoptions, Informology has been one of the leading Asia's Cloud Computing technology provider. Inlab Networks is an ISV (Independent Software Vendor) located in Gruenwald near Munich, Germany. Inlab Networks focuses on load balancing / ADC software, networking system software, security solutions, AI research and programming languages. Inlab Networks develops commercial products and Open Source Software for Linux, Mac OS X and Solaris operating systems. Intalio is the first company to deliver an integrated cloud computing platform designed for the Enterprise. Intalio|Cloud leverages a unique combination of hardware and software to deliver an enterprise-grade cloud computing experience, with dynamic provisioning and elastic scalability. Intalio offers services to enable its customers to efficiently and quickly deploy cloud-computing solutions in their Enterprises. Interoute is the owner-operator of one of Europe's largest networks and a global IaaS cloud platform, Interoute Virtual Data Centre (VDC), which has 14 zones integrated into a private global network. This unique architecture enables IT to be run with the speed and data sovereignty of private infrastructure, combined with the elasticity and scale of public cloud. IoTSyS is an integration middleware for the IoT, providing a communication stack for embedded devices based on IPv6, Web services and OASIS OBIX to provide interoperable interfaces for smart objects. The IoTSyS middleware provides a gateway for existing sensor and actuator systems found in many home and building automation systems, a stack which can be deployed directly on embedded 6LoWPAN devices and further addresses security, discovery and scalability issues. The Joyent Manta Storage Service is the first compute-on-storage innovation to eliminate data movement, enabling fast,inexpensive big data analysis in-place. Juniper Networks, with it's market leading Contrail SDN solution & Canonical with it's industry leading Ubuntu OS and OpenStack distribution are partnering to deliver a best-of-breed carrier-grade OpenStack solution for Service Provider and Enterprise production environments. K7 CloudSolutions Pvt Turn public or private clouds into PaaS offerings easily with K7 Cloud's Cyclozzo. Cyclozzo is designed to easily accommodate future PaaS standards. Currently, Cyclozzo fully re-implements Google(TM) App Engine's Java and Python APIs, enabling users to migrate applications to and from GAE and Cyclozzo without changing application code. Kaa is an open-source middleware platform for building and facilitating applications in the realm of IoT. Kaa allows companies to expedite a products’ time-to-market, increase performance, and attract customers and subscribers. Kaa introduces standardized methods for enabling integration and interoperation across connected products. The Kaa IoT middleware platform is licensed under Apache 2.0, and is 100% open source without royalties. Kaavo provides solutions for managing distributed applications and workloads in the clouds. Kaavo is the first and only company to deliver a solution with a top down application focused approach to IT infrastructure management in public and private clouds; enabling users to maximize the full potential of cloud computing. Kangaroot is Belgium’s most experienced Linux and open source service provider. Our certified engineers design, install and support infrastructure solutions for multinationals, all levels of government, mid-size companies and non-profit organisations. We deliver real added value by increasing efficiency and solving strategic business technology challenges within budget and implementation time. Karmasphere is a Big Data Intelligence software company bringing Apache Hadoop power to the desktop. Karmasphere Studio takes developers and architects from learning to production quality development and is available in free Community and Professional editions. Karmasphere Analyst gives analysts easy, familiar, graphical SQL access to big data in Hadoop. Kontron designs carrier-class and cloud infrastructure solutions that bring network applications to life in the new world of software defined networks (SDN) and network functions virtualization (NFV). By partnering with Kontron, service providers and their ISV partners can deploy new services with greater speed, confidence and operational efficiency. Kubernetes is an open-source system for automating deployment, scaling, and management of containerised applications. The Banana Pro is a new generation single board computer. The Banana Pro has an Allwinner A20 SoC, that uses the ARM Cortex-A7 dual-core 1 GHz CPU and Mali400 MP2 GPU. The Banana Pro has 1GB DDR3 SDRAM that shared between CPU and GPU, uses a microSD card to boot the OS, and has a SATA 2.0 hard drive interface. The Banana Pro can be applied to a wide range of fields, includes home automation, IoT, private cloud server, robotics, and multimedia applications. Lenovo is one of the world's leading personal technology companies, producing innovative PCs and mobile internet devices. A global Fortune 500 company, Lenovo is the world's largest PC vendor and fourth largest smartphone company. Lenovo ships Ubuntu laptops, desktops and workstations to both consumers and businesses worldwide. Leostream provides the critical connection broker technology required for enterprises to achieve large-scale hosted desktop implementations. The Leostream Connection Broker is the most widely deployed vendor-independent connection broker, enabling enterprises to integrate the complex array of clients, back-end systems and protocols required for hosted deployments. Lhings is a cloud platform for the Internet of Things that allows you to easily connect any kind of device. Once connected you can remote control them, receive notifications, connect them with each other through rules and even share their access with other people. Use our mobile app to do all of this or build your own with our RESTful APIs. The development of connected objects is fast and easy thanks to our open source C/C++ and Java software libraries. The automatic generation of control panel feature allows to test your set up immediately. Connecting things has never been so easy! Lime Microsystems creates Field Programmable RF (FPRF) transceivers for a wide variety of wireless applications. FPRF offers an unprecedented level of programmability and enables the creation of systems and networks that can be configured for the vast majority of frequency bands and wireless standards. Lime Technology is used in numerous applications, including consumer, M2M, military, emergency services and wireless infrastructure. LinMin Corp LinMin Bare Metal Provisioning remotely installs Ubuntu and other operating systems onto servers, blades, desktops and virtual machines. In addition to true native and unattended distro installations, LinMin can also capture entire disk images, store them on the network and restore them for disaster recovery or clone them to identical hardware. LinuxPolska is a leading provider of professional services for enterprise open source solutions. We offer services to support mission critical environments for customers from Finance, Telco and Public sector in EMEA region. Focusing on cloud, middleware and data centre infrastructure, we develop technology with enterprise class features for popular open source projects. M2MLabs is an open source application framework for building server-side Internet of Things applications. It takes care of device communication as well as data storage and retrieval so that application developers can focus on business logic purely. IoT applications can be prototyped in hours rather than weeks to finally run on a high performance execution environment built on top of a standard J2EE server and the highly scalable Apache Cassandra database. Magnolia CMS powers the websites of governments as well as leading Fortune 500 enterprises world-wide. It is favored for its ease-of-use and availability under an Open Source license. Magnolia contains best-of-breed Java technology based on open standards and best practices. Manceps is a ML provider specializing in augmenting human capabilities with AI. Manceps cognitive concepts blend ML with domain expertise and human ingenuity to automate complex functions at the heart of every business process. Manceps' data scientists and engineers help clients gain and maintain competitive advantages. MapR delivers on the promise of Hadoop with a proven, enterprise-grade platform that supports a broad set of mission-critical and real-time production uses. MapR brings unprecedented dependability, ease-of-use and world-record speed to Hadoop, NoSQL, database and streaming applications in one unified Big Data platform. MariaDB Corporation is a leader in open-source database solutions for SaaS, cloud, and on-premises applications that require high availability, scalability, and performance. Built by the founder and core engineering team behind MySQL, MariaDB is the database of choice for IBM POWER8. MariaDB has over 550 customers in more than 45 countries. Visit mariadb.com. Martin Salbaba Software design offers with i.mdm an economic and safe ECM solution for enterprise archives. Meruvian is an integrated Java and Enterprise OpenSource Provider, founded in 2006 by Frans Thamura, a Java Champion, JUG Indonesia Leader, OpenStack-ID Leader, CloudFoundry-ID Leader, OpenPaaS Initiative. Meruvian provides Integrated Education Services, Training, Integration, System Integration and Business Process Outsourcing both on-premise and as Cloud/SaaS. Mesiniaga is one of Malaysia's leading systems integrator and is listed on Bursa Securities with a paid-up capital of RM60.4 million. In fulfilling its mission to drive customer business performance, it harnesses technology that best serves customer business objectives and combines it with expertise derived from a deep understanding of customer environment. Metaswitch is powering the transformation of communication networks into a cloud-based, software-centric, all-IP future. The company develops openly programmable solutions that run on standard hardware or in virtualized environments and act as the key control points in elastic voice, video and data networks. In its 30-year history, Metaswitch has helped hundreds of service providers worldwide advance their infrastructures, retain their customers, extend their brands and reduce their costs through every major network transformation. Microsoft develops, manufactures, licenses, supports and sells computer software, consumer electronics and personal computers, cloud software and services. Its best known products are the Microsoft Windows line of operating systems, Microsoft Office office suite and the Azure cloud products. Midokura’s vision is to provide a more flexible, customizable and adaptable network infrastructure for companies worldwide through network virtualization. It is Midokura’s mission to unleash the full power of an organization’s networks – while reducing physical network and management costs. The Internet of Things is the single most important strategic technology for Mobica today. Although IoT is relatively new, many of the underlying technologies are mainstays of our project portfolio. As such, we are currently working with many of our customers to develop their next generation IoT solutions, and we expect this trend to continue and grow significantly over the next 12 - 24 months. MongoDB, Inc. develops MongoDB, the open source, high performance, scalable, document-oriented database. MongoDB supports its community and provides subscriptions, consulting, and training for commercial-grade deployments of the open-source database. Mulesoft is the Web Middleware Company, providing enterprise-class software based on the world's most popular open source application infrastructure products, Apache Tomcat and Mule ESB. Tcat Server is a fully-supported enterprise Tomcat server, simplifying management and application provisioning tasks for Tomcat developers and administrators. MuleSoft’s products boast over 1.5m downloads and over than 2,500 production deployments. Muli Management Pty Ltd, founded in 1982, is an “Open Core” developer of a suite of 500 applications providing Project Risk, Accounts and Process Management from in-house and cloud Ubuntu Linux Servers with x2go desktop access from Linux, Macintosh and Windows PC's. Our goal is to provide worldwide support and training through local Muli Associates. 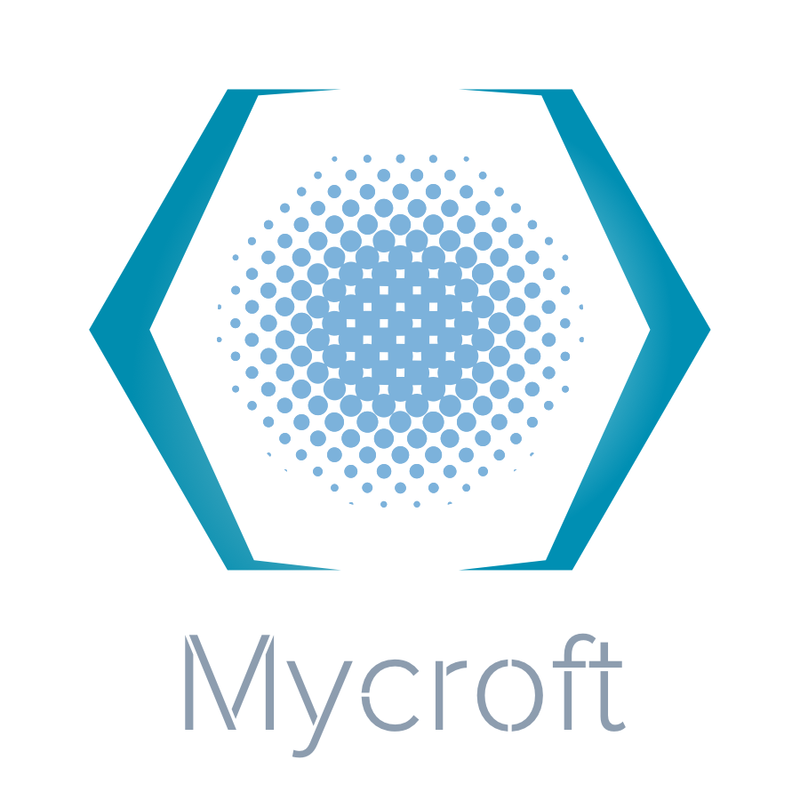 Mycroft AI is an artificial intelligence company bringing the power of natural language processing to respond to voice commands to the Ubuntu platform. It integrates with streaming media services and your smart devices to control IoT. Using Mycroft technology users can send text messages, launch applications, search the web and control settings with simple voice commands. National Center of Support and Development ("NCPR") works on creation of integrated software platform, based on open-source software, and on development of the partner solutions ecosystem on the platform's basis. "NCPR" cooperates with the world's leading vendors of open-source products for adaption of the world's best technologies for Russian market requirements, and for support of the products and solutions in Russia. Netrounds is an active network analytics solution provider for physical, hybrid and virtual networks. Netrounds’ programmable, software-based test and service assurance capabilities enable network operators and service providers to enhance the end user experience of IP-based services such as Internet, TV, voice and other quality-demanding business services. Nexenta is the global leader in Open Software-Defined Storage (SDS) with 6,000+ customers and more than 1,500 petabytes of storage under management. Nexenta uniquely integrates deep software-only “Open Source” storage software with a comprehensive vision around commodity hardware-centric “Software-Defined Storage” innovation enabling ANY app, cloud platform and protocol. We combine innovative technology with unmatched expertise to help make sophisticated network resources as readily consumable as compute and storage. Nuxeo provides a modular, extensible Java-based open source software platform for enterprise content management and packaged applications for document management , digital asset management and case management. Designed by developers for developers, the Nuxeo platform offers modern technologies, a powerful plugin model and extensive packaging capabilities for building modern content applications. NVIDIA has pioneered the art and science of visual computing. The company's technologies are transforming a world of displays into a world of interactive discovery — for everyone from gamers to scientists, and consumers to enterprise customers. NWave has developed best-in-class ultra narrow band radio communications technology, solutions and hardware for the IoT that spans up to 10km and can run 10+ years on a single battery at a radio module volume cost of under $2 each. Based on open standards, with a developer SDK and many deployments, Nwave is ideal for IoT use cases involving small data amounts over large distances. Objectif Libre is a French Company that offers a wide range of consulting and training services on innovative and Open Source solutions for infrastructure systems. We are highly skilled in Cloud Computing and we intensively contribute to OpenStack community. We have given birth to CloudKitty, the OpenStack component for chargeback and rating, now running for several customers. Make your ODROID-C1 more secure and faster enabling Snappy Ubuntu Core. Hardkernel’s $35 ODROID-C1 is based on 1.5 GHz quad-core Cortex-A5 SoC, and boasts 1GB RAM. Its tiny size of 85 x 56 mm, weight of 40g and 40pin GPIOs are just suitable for your IoT project. It is also equipped with a gigabit Ethernet port, four USB 2.0 host ports, and a USB OTG port. OHNEW Innovation/OSS Korea is a leading IT Technology company that offers a total service package for open source solutions. Our company has experts for providing the best open source solutions for OS, Middleware, DBMS and DBMS HA(High Availability) with leading open source solution providers worldwide. Omnicore-IT provides the Canonical Openstack Operator Training aimed at companies and individuals that are interested in managing their own Canonical build BOOTstack or openstack cloud platform. We also provide staging area's you can use around the clock to exercise and test your newly gained knowledge, along with courses based on Charmed Kubernetes. Open Networking Lab (ON.Lab) is a nonprofit organization dedicated to developing tools and platforms and building open source communities to realize the full potential of SDN. ONOS is a software defined networking (SDN) OS for service providers that has scalability, high availability, high performance & abstractions to make it easy to create apps and services. The platform is based on solid architecture that is feature rich and production ready. The Open Compute Project Foundation is a rapidly growing community of engineers around the world whose mission is to design and enable the delivery of the most efficient server, storage and data center hardware designs for scalable computing. Openbravo is the leading professional web-based open source enterprise management (ERP) solution for small and midsize enterprises (SMEs). Driven by open source philosophies and best-in-class services, it delivers a fully integrated, web-based ERP system tailored to the needs of any company, regardless of size or industry sector. Opencell is a multi-industry carrier grade open source billing solution including mediation, rating, prepaid/postpaid charging, billing, invoicing, AR management and reporting. Natively multi-tenant, it is easily deployed on premise, on bare metal, private or public clouds and is fully addressable through our rich REST and SOAP APIs. openHAB is one of the most popular open source solutions for smart homes. It integrates more than 100 different home automation systems and technologies into a single solution, which offers over-arching automation rules and homogeneous user interfaces. openHAB is easily extendible and has a very active developer community. openQRM Enterprise consolidates the technical competence of the openQRM Data Center Management and Cloud Computing Platform to supply expert knowledge, professional services and long-term support for custom, sustainable Data Center setups. openQRM Enterprise reduces the Total Cost of Ownership (TCO) for IT departments using a proven open source framework. OpenSensors.io are building a connected world that puts people first. We have built a scalable real time IoT messaging engine that can easily process millions of messages a second from any internet connected device. We enable you to quickly create real time smart IoT products by giving you the components you need such as real time data access, security, storage, data analytics and machine learning. Use our hosted service or download the service and run it in your own firewall. Opera Software Secure, fast, and easy to use, the full-featured Opera browser gives The Best Internet Experience. Opsview delivers business-powered monitoring without the complexity or expense of proprietary software. This integrated and commercially-supported open source product gives you a simplified deployment experience, a single console for managing and monitoring distributed deployments, and a comprehensive view of your physical, virtualised and hybrid cloud infrastructure. 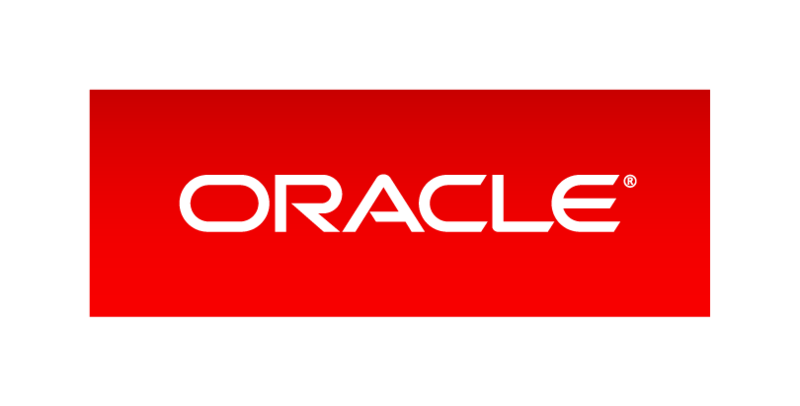 With more than 420,000 customers—including 100 of the Fortune 100—and with deployments across a wide variety of industries in more than 145 countries, Oracle offers a comprehensive and fully integrated stack of cloud applications, platform services, and engineered systems - engineered to work together, in the cloud and in your data center. Founded in 1999, OVH innovates at the heart of the Internet. Through its brands, OVH offers tools and solutions that are simple yet powerful, revolutionizing the way its 1mn worldwide customers work. Respect for the individual, freedom, and equal opportunity to access new technologies have always been and will be strong commitments of the company. As the leading bare metal cloud for developers, Packet brings the benefits of public cloud­-style automation to dedicated, physical infrastructure. Packet’s proprietary technology automates “Layer 0” without multi­-tenancy, virtualization or overlays, creating a consistent, secure, programmable, and cost-­effective infrastructure option that can be deployed anywhere. An immensely popular $99 parallel single board computer launched on Kickstarter in 2012. The credit card sized Parallella includes a dual core ARM A9 processor, programmable FPGA fabric, and a 16-core RISC coprocessor, making it the most efficient open computing platform in the world. Popular applications include: parallel computing research, robotics, drones, software defined radio, Internet of Things, and high performance computing. It is currently in use by over 200 universities and uses Ubuntu as its default Linux distribution. Parallels (formerly SWsoft) is a worldwide leader in virtualization and automation software that optimizes computing for consumers, businesses, and service providers across all major hardware, operating system, and virtualization platforms. Founded in 1999, Parallels is a fast-growing company with 900 employees in North America, Europe, Australia and Asia. Founded in 1994 by Henri Seydoux, Parrot creates, develops and markets high tech wireless products for the retail and professional markets. pcDuino is a $39 single board computer that has 1GB DRAM, 4GB flash and Gbps MAC. It is compatible with Arduino ecosystem by providing low level API that runs Arduino sketch code. pcDuino also has a form factor of CPU module that allows to use it in mass market products. Penguin Computing is the largest provider of open technology hardware, software, and services, with decades of experience in engineering and delivering custom and turnkey solutions for enterprise data center, cloud, and high performance computing. Permabit data reduction software provides data deduplication, compression, and thin provisioning. Our products enable customers to cut effective storage cost, accelerate performance, increase data density and gain competitive advantage. Just as server virtualization revolutionized the economics of compute, Permabit software is transforming the economics of storage today. PGP Corporation is a global leader in email and data encryption software for enterprise data protection. Based on a unified key management and policy infrastructure, the PGP® Encryption Platform offers the broadest set of integrated applications for enterprise data security. PGP® platform-enabled applications allow organizations to meet current needs and expand as security requirements evolve. PMC is the semiconductor and software solutions innovator transforming networks that connect, move and store Big Data. Puppet is the leading open source tool for data center automation. Puppet helps you save time, gain visibility into your server environment, and ensure consistency across your IT infrastructure. Our mission is to lead the development of Puppet, share our experience with others, and provide training, consulting, and support for our community. QCT (Quanta Cloud Technology) is a leading provider of server, storage, network switch, and integrated rack products for cloud datacenters worldwide. The company’s customers demand the engineering and manufacturing capabilities provided by one of the world's largest hardware companies, but require hardware tuned and optimized to their unique workload specifications. Qrama aims to unburden data scientists allowing them to excel. Through Qrama’s Tengu platform, new big data environments can be set up automatically without manual interaction. Data scientists no longer need to create and install their own big data environment, but can instead focus on the creation of algorithms and business intelligence, generating value from their data. A leading provider of secure, compliant data center, hybrid cloud and managed services, QTS features the nation’s only fully integrated technology services platform providing scalable solutions for government, financial services, healthcare and high tech industries. QuasarDB is a a very fast and scalable distributed key­value store used in production in several banks, including Exane Derivatives, an affiliate of BNP Paribas. It scales horizontally and vertically for virtually unlimited capabilities, without any compromise regarding reliability and consistency. Quobyte is a distributed file system that turns commodity servers into a scalable software storage system. As a genuine data center file system it supports high-performance workloads ranging from VMs to Big Data and is completely fault-tolerant. Quobyte simplifies the design, deployment, and management of storage infrastructures of any size. Rackspace is a global leader in hybrid cloud and founder of OpenStack, delivering enterprise-level hosting services around the world since 1998, and serving more than 205,000 customers. Rackspace deliver best-fit solutions by leveraging a portfolio of cloud services and platforms. Most importantly, it's all backed by their award-winning Fanatical Support. Randr develops Free Open Source Business Software Solutions for Entrepreneurial, Midrange Businesses. Our primary offerings are Rental Portal and Web Business Suite. Randr's domain expertise is in Wholesale Distribution, Light Manufacturing, Commercial Rental, Warehouse Management, Reverse SCM, and Organic SEO/SEM. We are working on simplifying the installation and support processes. REAL Software Inc. provides powerful tools for software developers. REALbasic is a rapid-application development (RAD) environment for Linux, Windows and Mac OS X that compiles fully native applications for all three operating systems from one source project. REAL SQL Server is a fast and reliable database server ideal for use with REALbasic applications. RTI provides the connectivity platform for the Industrial Internet of Things. Our RTI Connext messaging software forms the core nervous system for smart, distributed applications. RTI Connext DDS allows devices to intelligently share information and work together as one integrated system. RTI is committed to open standards, open community source and open architecture. RTI provides the leading implementation of the Object Management Group (OMG) Data Distribution Service (DDS) standard. Redis Labs is the open source home and commercial provider of Redis, a database benchmarked as the world’s fastest. The company’s software and service solutions power cutting edge applications with enterprise-class Redis and are trusted by thousands of customers for high performance, infinite scalability, true high availability and best-in-class expertise. Redpill Linpro is the leading provider of Professional Open Source services and products in the Nordic region. We provide consulting, development services, training, support, application management and IT operations for Open Source products ranging from infrastructure, databases, middleware and enterprise applications to customer specific solutions based on Open Source components. Canonical’s Ubuntu Core is at the heart of Rigado’s Cascade-500 IoT Gateway and their Edge-as-a-Service offering. Ubuntu Core’s small footprint, snap architecture, security features and automatic updating options aid Rigado in simplifying the edge for Commercial IoT applications like location & asset tracking, Smart Retail, and Smart Buildings. RightScale is the leader in cloud computing management and offers a fully automated cloud management platform that enables organizations to easily deploy and manage business critical applications across multiple clouds with complete control and portability. 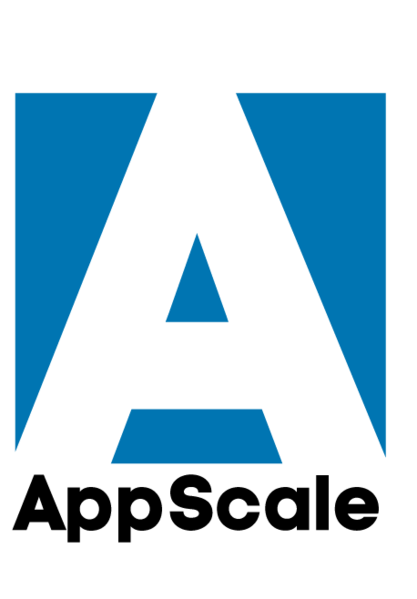 The RightScale Cloud Management Platform is delivered as "software as a service" (SAAS) and is available in a range of editions. RIOT is an open-source operating system for the IoT. RIOT is based on a microkernel architecture and allows C and C++ application programming. In contrast to other operating systems with similar memory footprint RIOT provides both full multi-threading and real-time capabilities. RIOT supports multiple network stacks, such as IPv6, 6LoWPAN, and standard protocols such as RPL, UDP, TCP, and CoAP. Riptano Cassandra is the most scalable and high performance database for online transactions available. Offering geographic distribution of data across multiple data centers and linear, incremental scalability, Cassandra allows the addition of resources on an as needed basis. Riptano is the company providing software, training and professional services for Apache Cassandra. Founded in 1999, our company name ROBOTIS derived in response to the philosophical question “What is a robot?” and since then we have been commercializing personal robots. Robotnik is specialized in Robotics product manufacturing and reselling mobile robot platforms, mobile manipulators, arms, hands and humanoids and Robotics R&D and Engineering projects. Rock ‘n’ Roll spirit! Solid passion of open source as a rock! No.1 Open source company in Korea! Rockplace is an open source infra specialist group providing differentiated services and solutions for building up a stable integration system based on Open Source Software. Over 50+ Partnership and 500+ Customers in Korea. Runsolutions is a professional firm specializing in Linux consulting for business government and healthcare, with more twelve years old in Linux IT services we specialise in Linux and the deployment of associated best practice systems management technologies from design to deployment, Runsolutions approach transforms difficult tasks into real-world solutions. Driving the Future of Storage - The world of digital content grows exponentially every day. From mobile devices to data centers, SanDisk delivers the peace of mind that data is readily available and reliable, even in the most challenging environments. Santa Clara Tech is a company formed by professionals with extensive experience in the world of information technologies and value-added services, which holds out the prospect of providing companies with solutions to improve productivity for both end-user customer business to the data centre. ScaleDB is a modern database cluster designed for high volume, high velocity structured data using MySQL. ScaleDB optimizes for time-series data delivering order-of-magnitude improvements on time-based queries and analytics. Stream and store millions of events per second while performing real-time analytics. Scaleway, previously known as Online Labs, is the world's first dedicated ARM-Based cloud platform (IaaS), created by Online. Scaleway is simple, and was made for people who need an easy to use web hosting platform, with on demand resources and without reading hours of documentation. Scaleway is designed for people who want to launch and scale their applications on trustable resources. 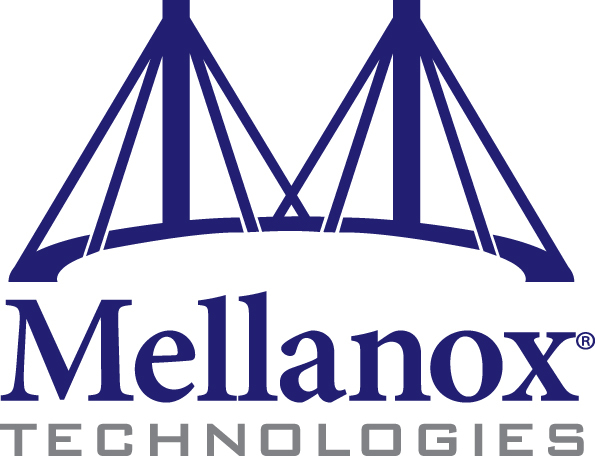 They provide dedicated, constant, predictable performances on metal SSD cloud servers. Selectel is the one of the leading commercial data center operators in Russia with substantial expertise in building cloud solutions. Selectel's portfolio of services covers the full range of hosting options, from dedicated to cloud solutions. Their Virtual Private Cloud based on OpenStack provides an elastic virtual infrastructure by allowing users to allocate as many resources as their project calls for. The World's First Fully Autonomous Shelf Auditing & Analytics Solution. Automating the most mundane, repetitive tasks in retail execution. Tally performs the repetitive and laborious tasks of auditing shelves for out-of-stock items, low stock items, misplaced items, and pricing errors. Tally operates safely during normal store hours alongside shoppers and employees. The purpose of the Siralab's Trasibot is to perform different kinds of environmental analysis with an unmanned vehicle. Automating the testing process, analysis results can be collected in the boat and data can be transmitted via a radio link to the base station or shared over internet via a web interface. TrasiBot is able to navigate in total autonomy across a list of preprogrammed way-points, in each of them it can perform a specific task. Skymind provides scalable deep learning for industry. It is the commercial support arm of the open-source project Deeplearning4j, a versatile deep-learning framework written for the JVM. Skymind's artificial neural nets can run on desktop, mobile, and massively parallel GPUs and CPUs in the cloud to analyze text, images, sound and time series data. A few use cases: facial recognition, image search, theme detection and augmented search in text, speech-to-text and CRM. SmartApp Sp. z o.o is a company specializing in the delivery of applications for the public sector in Poland, Slovakia and Serbia. The main areas of interest are: supporting judicial processes, documents management and digital signage with the special focus on the public (government) agencies. SoftLayer, an IBM Company, provides cloud infrastructure as a service from a growing number of data centers and network points of presence around the world. Customers range from Web startups to global enterprises.points of presence around the world. Whatever your dream, the HummingBoard – a small and powerful, low-cost ARM computer will help make it happen – the possibilities for creating the next great IoT innovation are truly limitless. HummingBoard can run Snappy Ubuntu Core and with its core technology based on SolidRun's state-of-the-art Micro System on a Module (MicroSOM). Best of all, as a Linux single board computer, the HummingBoard is backed by the global digital maker community, which means you can alter the product in any way you like and get full kernel upstreaming support and all the assistance you need. Solinea accelerates adoption of open cloud infrastructure through professional services, training offerings and software platforms. The company serves clients who understand that success with agile and open cloud infrastructure depends not only on the technology solution but just as much on process, automation and skills. Solis Cooperativa de Soluções Livres Ltda is a company specialized in consultancy, free software development and technological support services, mainly acting in three segments: education, coorporative and governmental. With over 50 highly qualified professionals, Solis is today a model of innovation and a reference on the IT segment. SPAN is an established software services company offering comprehensive IT services since 1994. Our clients include Fortune 1000 enterprises, software firms (ISVs) and tech start-ups. SPAN’s offshore development centers in India are certified for multiple ISO, CMMI 5 and PCMM 5. SPAN is ranked as #7 Best IT Employers in India by a leading IT publication. SPAN is wholly owned by the largest Nordic IT services major, EVRY (www.evry.com). Spark Integration Technologies Inc a maker of Distrix, is the world leader in distributed information exchange software. Distrix is a multi-platform, rapid development environment for cross-platform, network-centric systems. Used in mission critical, real time systems and large scale sensor networks, the Distrix model-driven development approach accelerates network-centric systems development. Born out of a requirement for more flexible systems and applications design, Spicule was founded in 2015 to facilitate this. They offer bespoke systems automation and design consultancy including building Juju Charms. Stack Group provides highly reliable IT infrastructure in Russia and worldwide, compliant with the recent changes of the Russian legislation. Enterprise-level colo services are provided in Stack.M1 datacenter (DC) in Moscow and in 145 partner DCs in 20 countries over 5 continents. Business continuity cloud solutions offered in two DCs in Moscow and one Frankfurt DC. The Storage Made Easy Enterprise File Share and Sync solution uniquely allows IT to regain control of "cloud sprawl", unifying private and public file sharing into a single, converged storage infrastructure that can easily be managed and be used to set governance and audit controls. 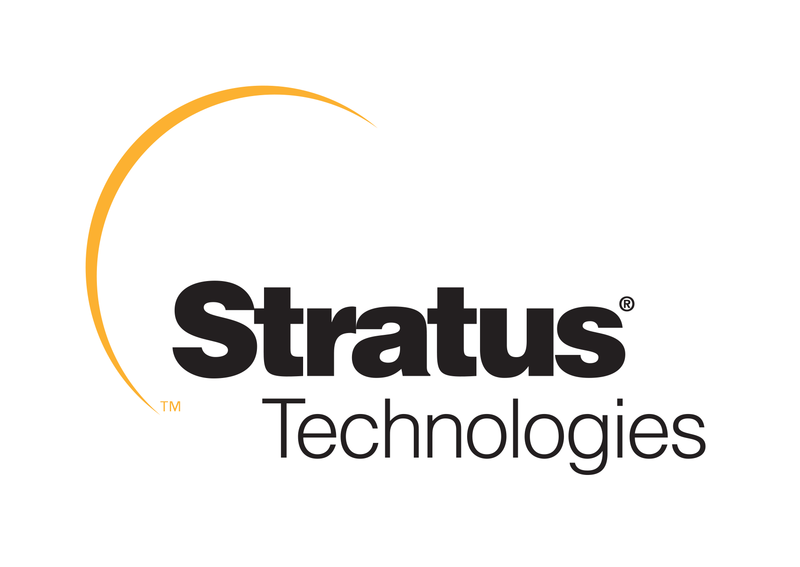 For an always on world - Protect mission critical applications and ensure server availability with Stratus Technologies high availability software and platforms. Super Micro Computer develops and provides high performance server solutions based on modular and open-standard architecture. The company offers a range of server, storage, blade, workstation, and full rack solutions, as well as networking devices, server management software, and technology support and services. Unleash your potential with System76. Our laptops, servers and desktops are pre-installed with Ubuntu and are built custom to every order. With lifetime support, our systems enable creators, makers and builders alike to focus on their craft while we perfect the computing tools they need to be successful. Talligent empowers enterprises and service providers to deploy Business-Ready Clouds on OpenStack by dramatically improving the visibility and control of infrastructure consumption. Differentiate and monetize your cloud services with flexible billing/chargeback, improve management visibility with intuitive reporting, and decrease response times with self-service access. We are OpenStack experts and can help you turn your private or public OpenStack cloud into an efficient and automated multi-tenant environment. tcp cloud provides a private cloud computing platform with multiple OpenStack modules and open­ source technologies such as Ubuntu and OpenContrail. We deliver all aspects of cloud computing technologies that deliver savings not only at the physical infrastructure virtualization level, but also at the operation, management, monitoring and other complex IT admin tasks. ​Telestax is creating an open marketplace for telephony apps.​ Our mission is to remove complexity from the traditional telecom infrastructure and in the process create a mainstream market for innovative applications. Telestax is the team who founded the most popular open source platform for telecom infrastructure - Mobicents. Our code is trusted by 80% of the world's top tier telecoms and thousands of service providers and enterprises. Restcomm is the name of our latest innovation, which brings telephony APIs to millions of mainstream developers. The Tersus Visual Programming Platform enables easy creation of enterprise web applications by drawing visual flow diagrams instead of writing code. Teuto.net, Netzdienste GmbH is an Internet-Service-Provider, Datacenter-Solutions-Provider and system-builder focusing on business customers in Germany. teuto.net provides Linux-based systems and solutions, consulting, management and training since 1994. Technical services are added with complex Intra- and Internet-Application development. Our own 24/7 support-center and datacenter is located in Bielefeld/NRW. Analysts estimate that 50 billion devices will get connected to the Internet by 2020. In this exploding Internet of Things (IoT) , users, things and cloud services connect using the Internet to enable new use cases and new business models across multiple markets and applications. Texas Instruments is the only semiconductor company with all of the building blocks to enable the IoT. At The Hybrid Group, we are passionate about making useful things with technology. Based in Los Angeles, California, we've been called "the software company that makes hardware companies look good". We are also the creators of the open source robotics & IoT frameworks Cylon.js, Artoo and Gobot. ThingSpeak is an open data platform for the Internet of Things. Share data with ThingSpeak then distribute data to apps, things, and web services. Process, analyze, and visualize data effortlessly with built in apps or via an open API. Trilio is the only provider of native OpenStack and KVM backup and recovery solutions. Since 2013, Trilio is giving tenants more control over their ever-changing, complex and scalable cloud-based architectures. Trilio is trusted by businesses all around the world to protect their clouds in a way that’s easily recoverable and requires little-to-no central IT administration. UDOO is a single-board computer integrated with a Arduino 2 compatible microcontroller, designed for education, the world of Makers and fast prototyping and the Internet of Things. Launched on Kickstarter at April 2013 reaching wide consensus and its currently used in lot of projects involving Multimedia, Robotics, Smart Grids, Domotics, Scientific Instruments and Arts. Unison is the leading unified communications software. It integrates telephony, e-mail, instant messaging and collaboration in a single Linux server and a desktop client. More powerful than old-fashioned separate systems, such as a PBX or e-mail server, Unison increases a company's productivity by 15% while vastly decreasing IT costs. Unitrends provides enterprise-level data protection, at the lowest total cost of ownership, through a family of scalable disk-based data protection appliances that integrate and protect existing heterogeneous computer and storage systems through a single, graphical user interface. Unitrends uses a backup and recovery engine that protects more than 100 different versions of operating systems and applications. UPCnet is the company of consulting and technological services of the Universitat Politècnica de Catalunya (UPC), an expert in helping companies to enhance their business agility through the use of ICT. We implement technology solutions and manage IT for you within the areas of cloud computing, analytics and big data, knowledge management and corporate applications. Userful effectively turns one PC into Ten. Userful Multiplier; is a simple Ubuntu software add-on (included in Multiverse) that enables a single PC equipped with extra video cards to support up to 10 simultaneous users (each with their own monitor, USB keyboard and mouse). UShareSoft simplifies software governance and application migration for the cloud. UShareSoft's UForge Appliance Factory enables "à la carte" software delivery by automating the creation and maintenance of image templates on any OS for any cloud, virtual or physical format. UForge Elastic Appliances are self-deployable images that automatically configure mult-tier software solutions in minutes. Vesper Technologies is a Value add Distributor specialising in customised server configurations utilising an Open approach on hardware. VERDE is the industry's most comprehensive desktop management and provisioning solution to deliver desktops in the cloud using desktop virtualization. The VERDE solution lets enterprises transform their desktop TCO by simplifying desktop management, improving security and compliance by centralizing the administration of desktop images and data, and increasing the organizational agility. Vzzual can help you better understand your photo and video assets. We do this by offering an automated image tagging (image understanding), image processing, image hosting and image cloud backup service. All of our services can be accessed through our simple to use web services API. For more information please visit www.vzzual.com. Weave is a secure application-oriented virtual network by Weaveworks, Inc. It implements an encrypted peer-to-peer overlay mesh, providing a virtual Ethernet network in any cloud and across clouds. With built-in DNS for service discovery, and dynamically scalable topologies, it is an ideal platform for your application. It will adapt itself as you grow, without code changes. It is very easy to use and requires no networking experience. 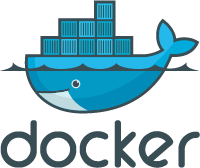 Ubuntu Core with Docker and Weave provide an ideal platform for implementing any IoT-scale application. Wia is a real-time cloud infrastructure that enables users to create their Internet of Things (IoT) devices. Makers, startups and enterprises can build a fully fledged, production ready solution in just minutes without having to worry about the complexity of their backend. The Wingu public cloud platform is designed, built and hosted in South Africa using Ubuntu OpenStack. Wingu is connected to multiple African Internet providers, and to the NAPAfrica peering point. To enable advanced networking functionality, Wingu uses a powerful SDN technology, on top of a carrier class network. Wipro Ltd is a global information technology, consulting and outsourcing company working with Canonical as an Ubuntu Advantage Reseller partner delivering professional services and support to Ubuntu users all over the world. Wipro helps customers do business better leveraging its industry-wide experience, deep technology expertise, comprehensive portfolio of services and a vertically aligned business model. WSO2 is the lean enterprise middleware company. It delivers the only complete open source enterprise SOA middleware stack purpose-built as an integrated platform to support today’s heterogeneous enterprise environments—internally and in the cloud. WSO2’s service and support team is led by technical experts who have proven success in deploying enterprise SOAs. A New Zealand based company offering innovative solutions to allow the mariner to See Beyond the Horizon developing radio and satellite based products for real time weather imaging and offering consulting for ocean going leisure and commercial vessels to maximize Internet access over limited bandwidth. Xcelerit Computing Ltd provides an SDK that boosts the performance of processing-intensive applications. It seamlessly leverages the full processing power of workstations and clusters with multi-core CPUs, GPUs, or other specialised processors. This is achieved with a single source code and without the need to specifically address parallelism (e.g. threads, synchronisation, etc.). 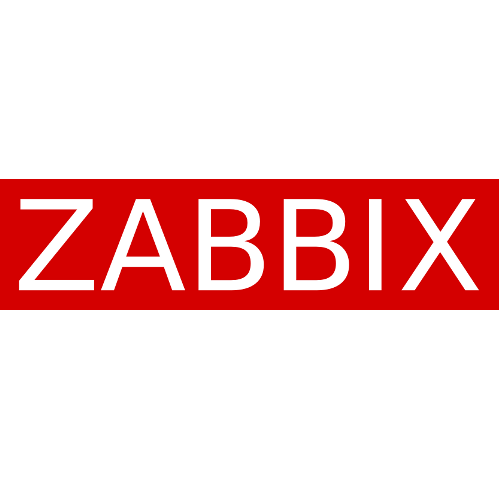 Zabbix is an enterprise-class open source distributed monitoring solution designed to monitor and track performance and availability of network servers, devices, services and other IT resources. Zabbix is an all-in-one monitoring solution that allows users to collect, store, manage and analyze information received from IT infrastructure, as well as display on-screen, and alert by e-mail, SMS or Jabber when thresholds are reached. Zabbix allows administrators to recognize server and device problems in a short period of time and therefore reduces the system downtime and risk of system failure. The monitoring solution is being actively used by SMBs and large enterprises across all industries and in almost every country in the world. Zentyal ,developer of the Zentyal Linux small business server, has reached an agreement with Canonical offering Ubuntu Advantage to SMBs through Zentyal Partner Network. Zentyal partners provide high-value services based on Zentyal small business server and now they can also extend their offering to Ubuntu desktop and application servers. Zetta.IO offers a complete infrastructure platform for production IT Services. Due to their support of open standards and self-service functionality, customers experience a flexible and highly available platform, while achieving economic benefits and predictability. All services are delivered using self-service portals and standardized programmable interfaces and are billed based on actual usage. Automation in the production chain eliminates start-up and termination fees, and ensures immediate access to all services. Zeus Technology develops application traffic management software, meaning we dramatically improve network and web-enabled applications and services making them faster, reliable, secure and easy to manage. As the only pure software traffic management solution available, we're flexible whatever your deployment environment; Zeus appliances, standard servers, blades, or virtualised environments. Zimbra a VMware company, is the leader of next-generation messaging and collaboration. Zimbra Collaboration Suite is an open source platform for Ubuntu with enterprise-class email, calendaring, document authoring, instant messaging and mobile device synchronization. It is used by more than 50,000 organizations; find out more at http://www.zimbra.com. Zmanda Inc brings the benefits of open source to enterprise backup/recovery. The company offers the industry’s leading open source backup/recovery products, including Amanda Enterprise, a network backup and recovery solution based on AMANDA, the world's most popular open source backup/recovery software, and Zmanda Recovery Manager for MySQL. Zora Robotics are behind a Robot named “ZORA” which serves the Healthcare industry in very novel and innovative ways. Zora Robotics is a solution provider that helps clients from concept to installation through support. Zora Robotics is creating their own butler robot, called James, with Snappy Ubuntu Core as a playground. Interested in becoming a partner? Talk to us today for more information about our programmes and certification. Get on-site consulting services and training, direct from engineers involved in developing Ubuntu or subscribe to Ubuntu Advantage for systems management and support.